How do you collect geographical data? At first I used a simple GPS receiver. It was a Garmin eTrex Venture. This receiver can be configured to show coordinates in a wide range of styles, like polar coordinates or British, Dutch, German, Finnish, Irish Grids and more. 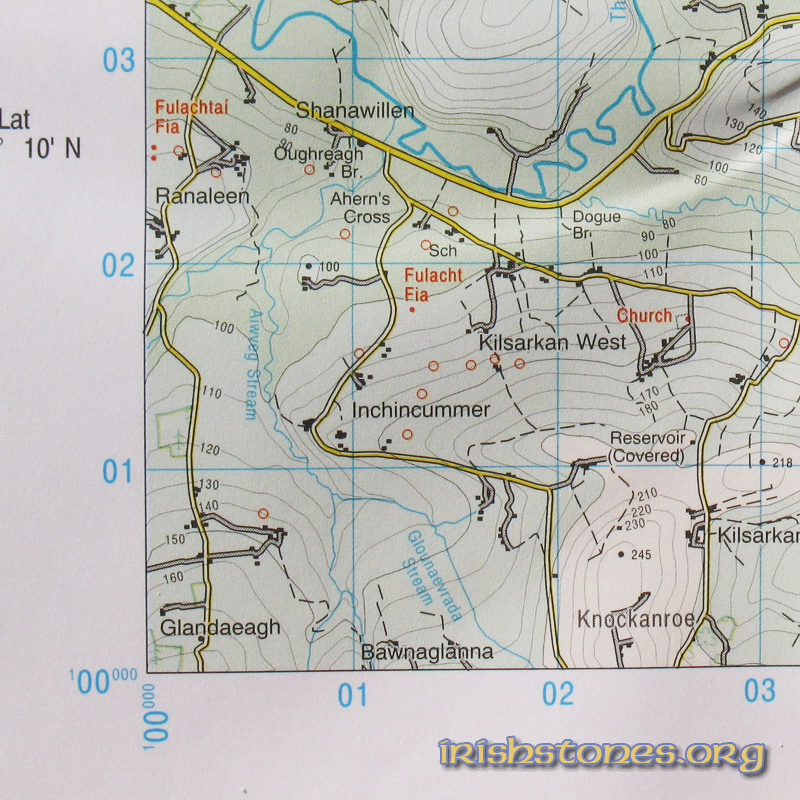 The data in the Irish Grid format are compatible with the OS Maps. 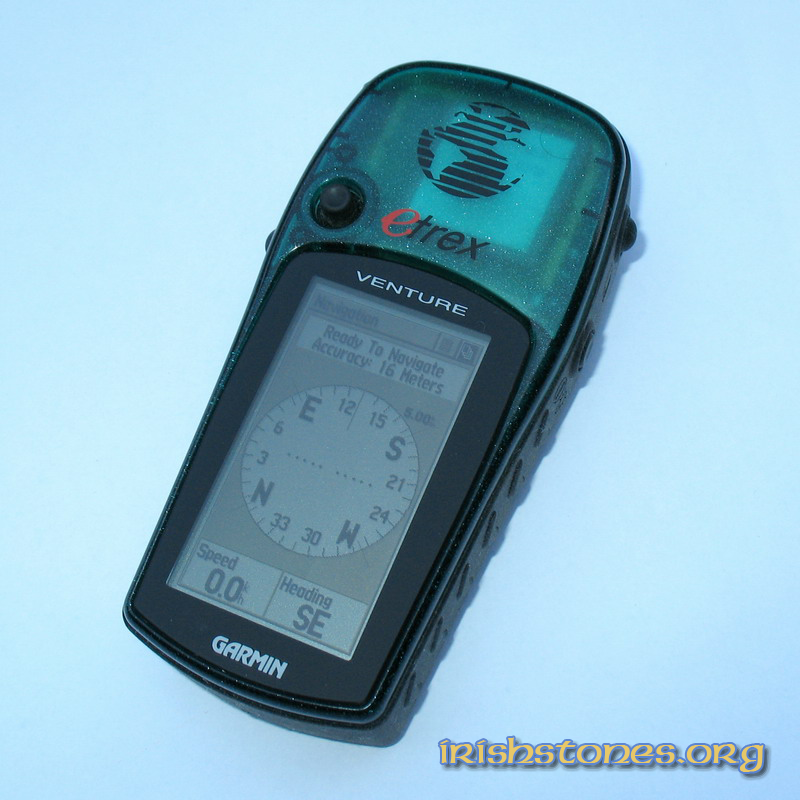 Since 2012 I use a new GPS receiver, the Garmin eTrex 30, with new advanced functions. It’s much more accurate and it uses GLONASS satellites along with the GPS ones, so the accuracy can go down to 3 metres. It’s more sensitive, it can receive the satellite signals even among tall buildings or under thick foliage. And it can show maps on its colour display, so I’m able to know exactly where I am and what I have around me. The GPS data I collect are read while I'm visiting the monument. If it's a Ring Fort or a Stone Circle the reading is taken in the centre of it. If it's a Standing Stone the reading is taken as close as possible to it. 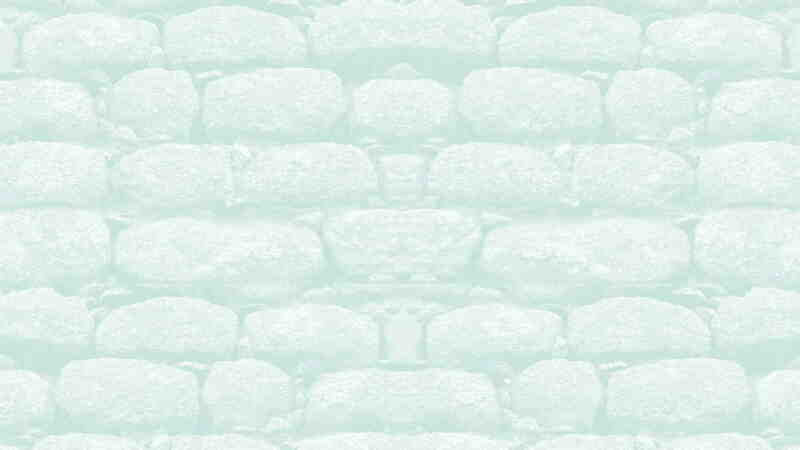 If it's a Stone Row the reading is taken nearby the middle of the alignment. If it's a Tomb the reading is taken at its entrance. If it's a Castle or a Church the reading is taken at the doorway or the main entrance. If it's a Round Tower the reading is taken at the base in the best position and however where I can see the wider section of the sky. What other instruments do you use? I have a simple and basic compass that I use to determine the alignment of the monuments. I also use it to check for magnetic properties of the stones forming burials or ceremonial sites. In one occasion the compass revealed the presence of a strong magnetic force emanating from a standing stone. Another faithful companion of mine is the red and yellow stick that I use as a comparison tool for measuring the monuments both in field and afterwards, when I am back home. Since 2011 I also have a red and yellow ruler to measure smaller details. A pocket tape metre is a friendly tool for all other measurements. What photographic equipment do you have? I started my digital photographic adventure with a Canon PowerShot A80 that I used for the photos in the 2006 trip. In the following year I bought and used a new Canon PowerShot A630 that gave me little better results. In 2011 I decided that my website deserved a much more professional touch, so I purchased a reflex, a Canon EOS 60D and I’m really satisfied with it. Anyway, the photos uploaded for the year 2003 come from the frames of the videos I shot at the sites with my camcorder, a Canon DV30. Occasionally I could upload very old images, old slides from the 1990’s that I have recently digitalized using a cheap slide scanner. These images could be useful in case I want to show major differences and alterations occurred to monuments in the last 20 years. 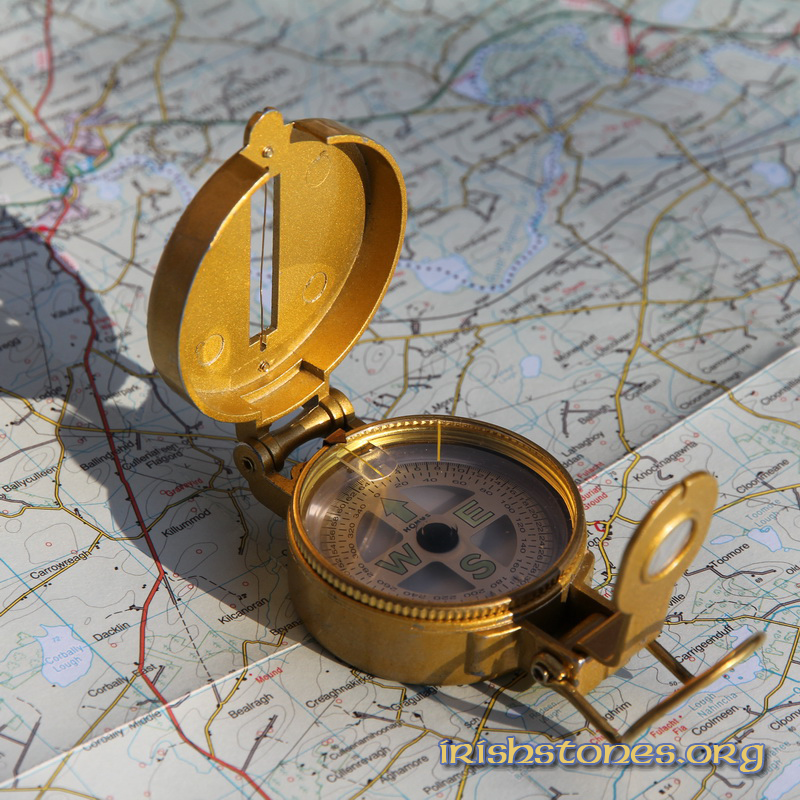 What are the OS Maps? 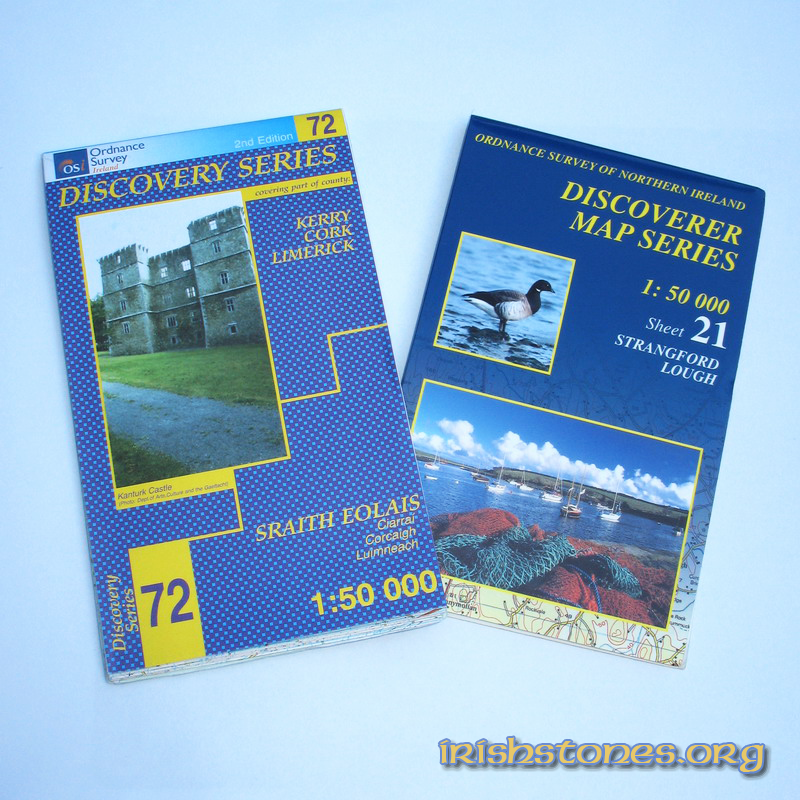 The OS Maps are two sets of maps for a total of 89 maps. 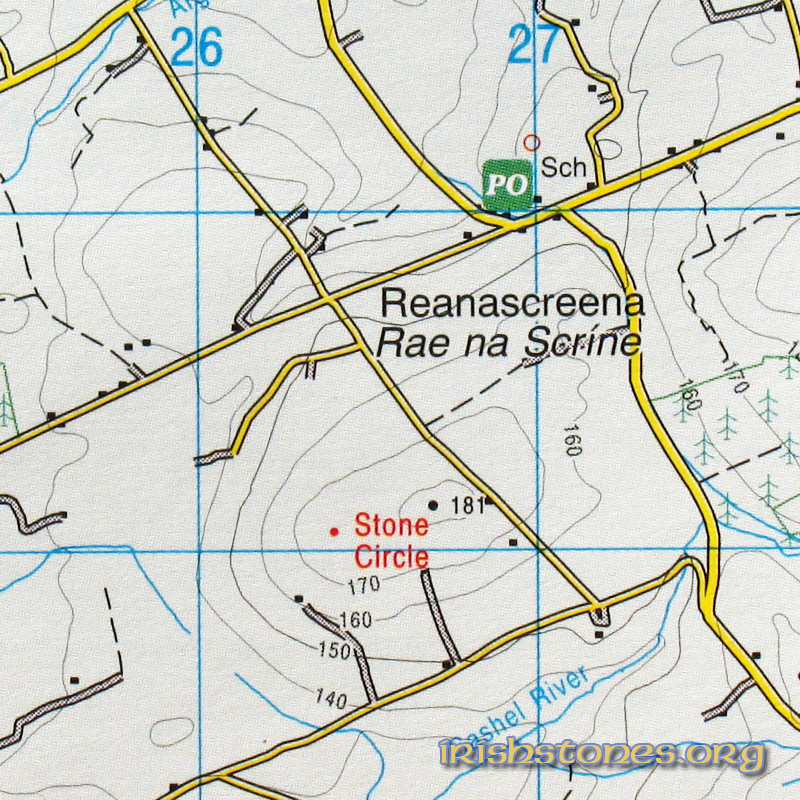 One set is issued by the Ordnance Survey of Ireland and is made of 72 maps. The series I use is the Discovery, 2nd and 3rd edition. These maps have a scale of 1:50,000 and cover an area of 30 km x 40 km each on the ROI territory. The other set of 17 OS Maps is issued by Ordnance Survey of Northern Ireland, they cover the NI territory. The series I use is the Discoverer, 2nd edition. These maps have the same scale and area coverage as the Discovery ones. Both series are now in their 3rd edition. The two sets of maps overlap in the area around the western border between ROI and NI. Occasionally other maps may overlap. In the case of a monument that lays in the overlapping area of two or more maps, I will indicate the map with the lower number in the relevant page. The maps can be found on sale on the internet or in almost any bookshop in Republic of Ireland and Northern Ireland, even if in the shops you could find only the maps relevant to the area around the town where the shop is. How do I read the OS data? The OS data are in a format of a Letter and six to ten Numbers. Ireland is covered by a grid of 18 big squares labelled with letters (B,C,D,F,G,H,J,L,M,N,O,Q,R,S,T,V,W,X). Each one of these big squares measure 100 x 100 km. Within each of these big squares, each location is identified by a series of numbers that are called eastings and northings. These numbers form a grid and have their origin in the south-west corner of the big square, and they go from 00 to 99, where each number is 1 km. Every small square of this grid can be divided in 10 parts, each of these is 100 metres. Let’s take an OS reference, for example W 312 604. First of all, we can say that the location of this reference is inside the big square labelled with W. Within this big square we have to find the vertical line of the grid numbered 31, then we have to find the horizontal line of the grid numbered 60. The crosshair we have found is W 31 60. In this 2 cm square we can identify the fraction 2 of 312 and 4 of 604. A ruler can be of help, but with a little experience we can do it by hand. The intersection of these two new grid lines is the location we are looking for. In this website all the OS grid references are given in a 10 digit format. This means that each location is determined down to the metre. For example, W 31265 60488 is at 31 km 265 metres east and 60 km and 488 metres north from the origin of the big square W.
Are these monuments free to access? Only the most famous and well preserved ones are accessed after the payment of a ticket. 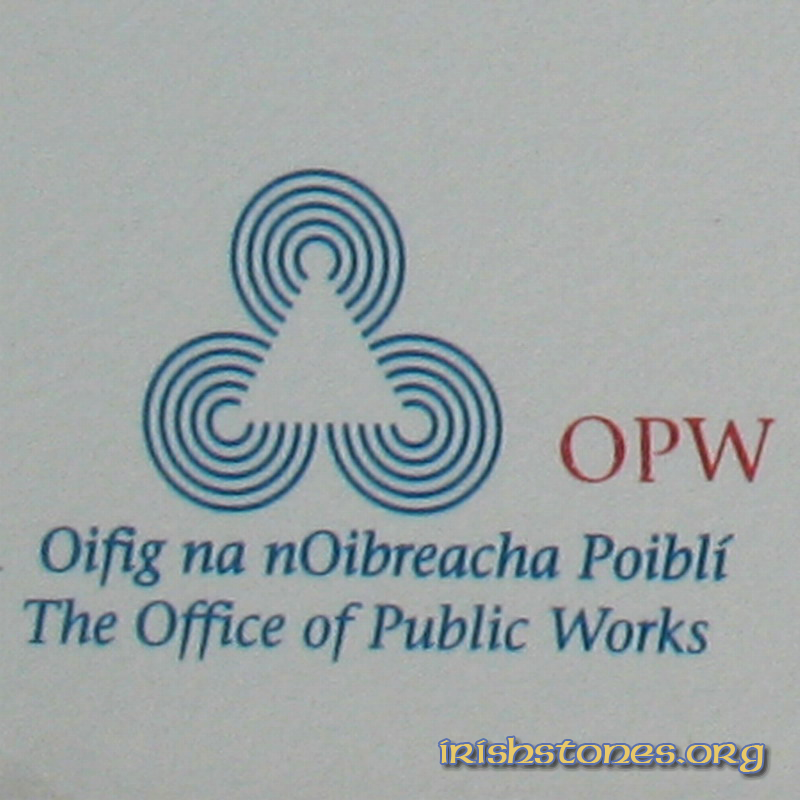 Some others are under the care of Irish OPW and are property of the Irish State and can accessed free of charge. 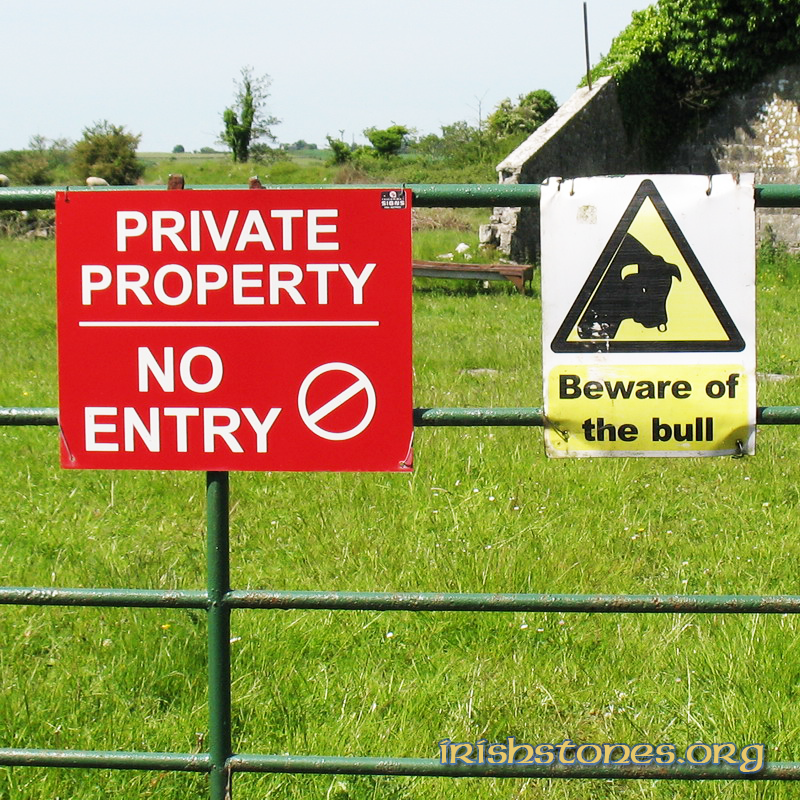 All the other monuments, though protected by the law, are on private lands, so it's a good and advisable thing to ask the land owner the permission to walk in their fields, by ringing their doors or by phoning a number indicated on the gate the closes the land. Usually the permit is granted. If everybody who wants to visit a monument in a private land follows this simple rule, these monuments will be accessible to everybody for a long time. Sometimes the owner can ask you an offering for the access to their land. It's up to you to accept. In some cases there's no way to contact or to know who or where the owner is. In this case, if you decide to enter the land, you do that at your own risk. 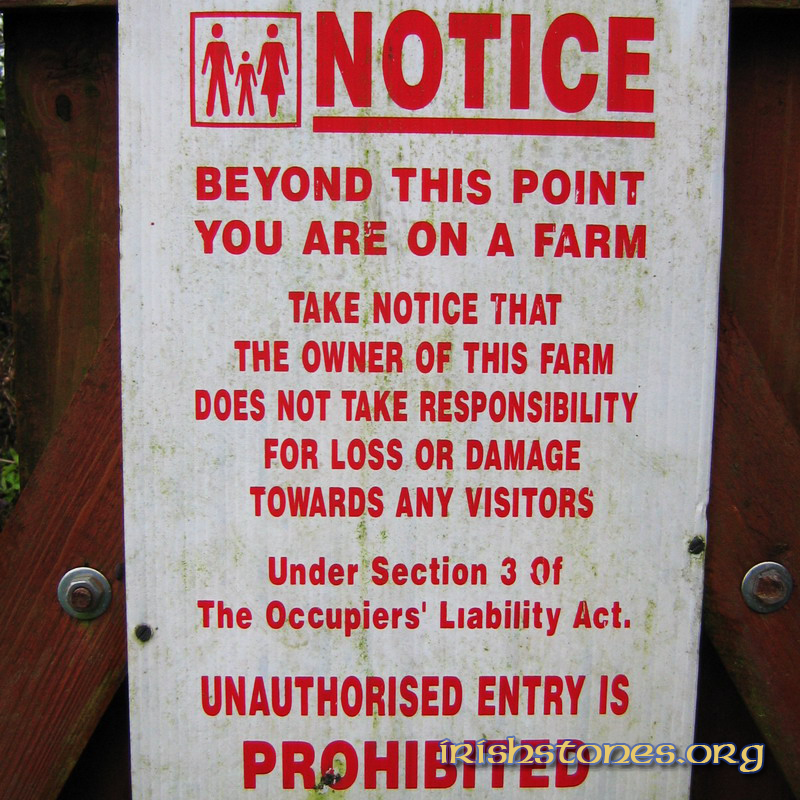 It can happen that the owner catches you in the act of tramping their land without permission. Their reaction can be unpredictable, but keep in mind that you're wrong, so do not insist if they ask you to leave right away. 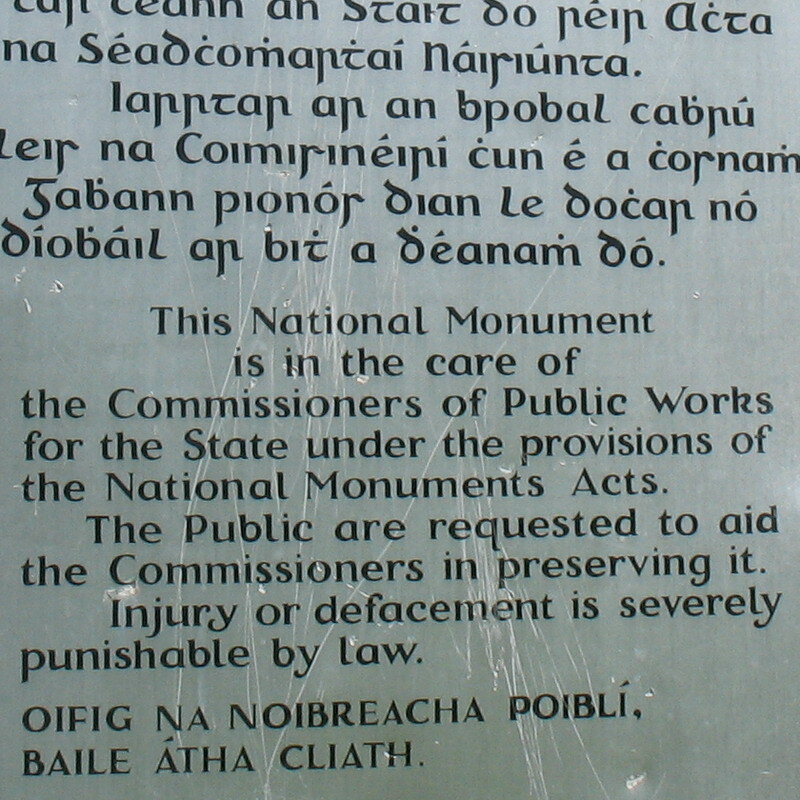 In all cases, defacement or damaging of the monuments is a criminal offence. What if I enter a land without asking for permission? Well, first of all it’s a criminal offence. The lands are private and nobody can enter someone else’s property without the owner’s permission. Then, there’s the risk of having an accident, a fall or get injured during the visit on these lands. No insurance will cover your damages if you were there without the owner’s permission. Anyway, as a general rule, nobody can stop you from crossing a private land if you're going to a graveyard that can't be accessed otherwise. Some lands are used as animals pasture. These animals can be very dangerous, especially when mothers are looking after their newborns. Be extremely careful before entering. Sometimes even bulls can be there when you don’t see them. Where do those funny monuments names come from? Do you invent them? Those names, sometimes funny and unpronounceable, are real and usually come from the townlands where the monuments are. In their turn, the townlands get their name from the Irish language, and the meanings can be often related to some geographic or orographic features, like a wood, a river, a glen and so on. The translation from Irish to English has often led to funny names and, of course, lost the original meaning. In some other cases, like castles, churches or towers, the names are the same the monuments have always had since their construction. Can I download your photos? No, actually you can’t. All the photos and the graphics in this website are my own property and copyright. But if you ask me to download them and you tell me where you will use them and why, I could grant the download, provided that you don’t edit the photos or the graphics in any way and, in the case you want to use them for a blog or a website, you clearly state and link where they come from. Any copying and republishing in whole on in portion of the copyrighted texts with any medium is prohibited. The download and the use of these contents in other websites, blogs, or elsewhere without my written permission is an infringement of the copyright and it will be pursued according to the applicable laws.